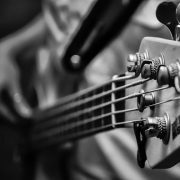 Sight Reading on Bass Guitar – Master it now! https://www.fundamental-changes.com/wp-content/uploads/2018/02/bass.jpg 396 396 TIm Pettingale http://www.fctesting.co.uk/wp-content/uploads/2018/02/logo.png TIm Pettingale2018-05-11 12:35:282018-05-11 12:35:28Sight Reading on Bass Guitar – Master it now! What is a Walking Bass Line? https://www.fundamental-changes.com/wp-content/uploads/2018/02/bass.jpg 396 396 TIm Pettingale http://www.fctesting.co.uk/wp-content/uploads/2018/02/logo.png TIm Pettingale2018-05-10 19:30:442018-05-10 19:30:44What is a Walking Bass Line?